Bring your family to the Festival this Canada Day weekend! If you’re looking to make some family plans for Canada Day weekend, look no further! We’re hosting a special celebration for you and the kids that includes great shows, loads of activities, chocolates and treats, a pizza party and meet and greets with actors from You’re A Good Man, Charlie Brown and The Pirates of Penzance. I’ll be there with my daughter enjoying some Festival fun. Come and celebrate with us on Saturday, Sunday or both days and enjoy these fabulous ticket packages! Meet cast members Sean Arbuckle (our Pirate King), Kyle Blair (our resident Frederic) and Gabrielle Jones (the hilarious Ruth)! Who will you and your children get to mingle with at the post-show meet and greet? 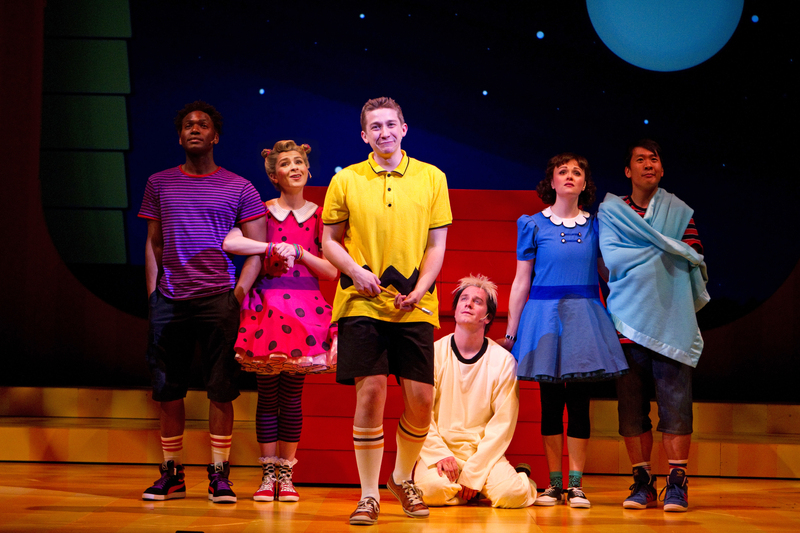 Spend some time with Snoopy (Stephen Patterson), Ken James Stewart (Charlie Brown), Andrew Broderick (Schroeder), Amy Wallis (Sally) and Kevin Yee (Linus)! BUY BOTH SATURDAY AND SUNDAY AND SAVE! When you buy both the Saturday and Sunday packages, we’ll give you the child tickets to the Sunday performance (up to four for each adult ticket purchased) FREE! Make sure to mention that you’d like to book the Canada Day Kids Weekend Package and our Box Office staff will assist you in planning a fun holiday for your family. What a great way to spend your Canada Day weekend! Farmers Market, Stratford Rotary Complex – open 7 a.m. to 12 p.m. Slow Food Market, Market Square– open 10 a.m. to 2 p.m.
Click here to download coupons for local family- and kid-friendly restaurants, retailers and accommodation providers. Share the gift of theatre with your family this Canada Day weekend! 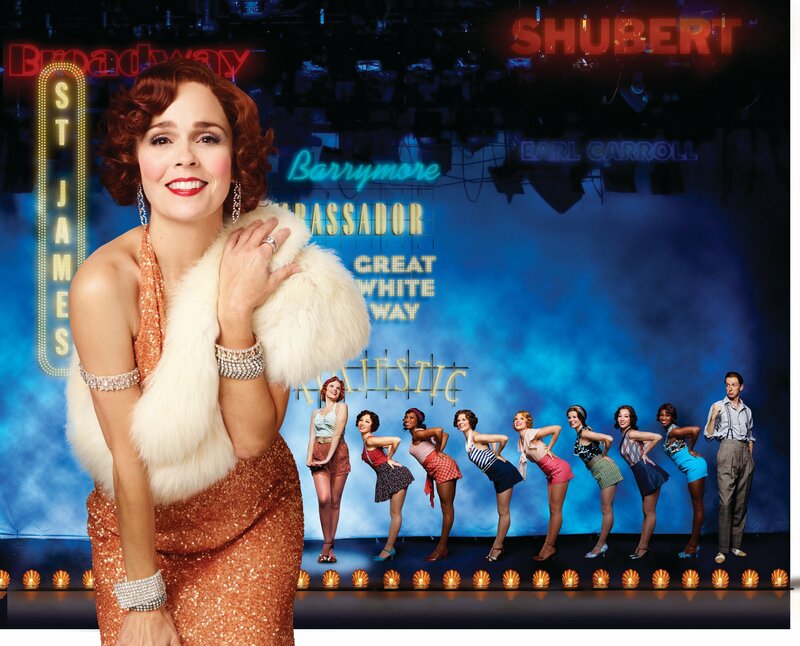 April 12, 2012… The inspiring story of a small-town girl chasing her dream in the big city is told through exhilarating tap dance numbers in the hit musical 42nd Street. Featuring Cynthia Dale and directed by Gary Griffin, this production begins previews at the Festival Theatre on Thursday, April 12. The quintessential backstage musical, 42nd Street tells the story of Peggy Sawyer, a young girl from Allentown, Pennsylvania, who travels to New York City with the dream of becoming a Broadway dancer. To her delight she lands a part in the chorus of the new musical Pretty Lady, but when the show’s star is injured, Peggy is offered the chance of a lifetime. Set during the Great Depression, this piece shows how the hopeful innocence and will of one person can provide inspiration for all in the most challenging and difficult of times. 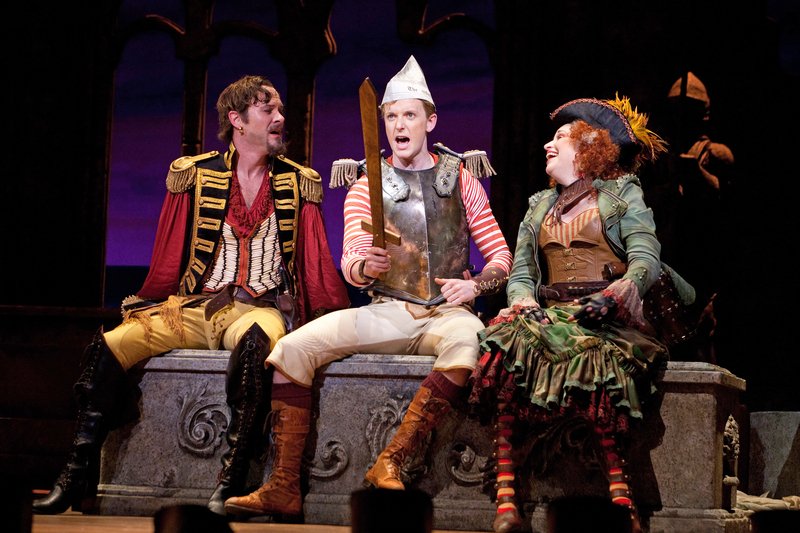 The production features Sean Arbuckle as Julian Marsh, the director of Pretty Lady; Kyle Blair as Billy Lawlor, Pretty Lady’s lead male; and Cynthia Dale as Dorothy Brock, the show’s star and resident Broadway diva. Jennifer Rider-Shaw plays Peggy Sawyer, after two previous seasons at Stratford performing in Jesus Christ Superstar, Camelot, Kiss Me, Kate and Evita. Other cast members include Naomi Costain as Annie “Anytime” Reilly, Kyle Golemba as Andy Lee, C. David Johnson as Pat Denning, Gabrielle Jones as Maggie Jones and Geoffrey Tyler as Bert Barry. With music by Harry Warren, lyrics by Al Dubin, and book by Michael Stewart and Mark Bramble, this production boasts a rich and exciting score straight out of the big-band era, and features a 16-piece orchestra that, for the first time in Festival history, is positioned on stage in full view of the audience. Artistic credits for this production include Alex Sanchez as choreographer and Michael Barber as musical director. Other credits include Debra Hanson, designer, Paul Miller, lighting designer and Peter McBoyle, sound designer. Kerry Gage is the associate choreographer, Franklin Brasz is the associate conductor and Simon Fon is the stunt coordinator. Production support for 42nd Street is provided by The Dominion of Canada General Insurance Company and Union Gas Limited. We asked our fans why they were excited to see 42nd Street this season and they came up with a huge list of reasons! Here are 41 responses that we collected… and a very special 42nd reason! The fabulous Cynthia Dale as Dorothy Brock! Seeing orchestra members – onstage! The amazing behind-the-scenes process of creating the set – and awesome technology like miked stage floors! A production worth celebrating as part of our 60th season! Jennifer Ryder-Shaw as newcomer Peggy Sawyer! Set created by the amazing Debra Hanson – a true master of the Festival stage! It’s a play within a play – two productions for the price of one! If you’re in the front row, expect to be up close and personal with the actors – the stage has been extended and the actors will be tapping around the edge of the stage! Past productions of 42nd Street have won Drama Desk Awards, a Theatre World Award, a Tony Award, a Laurence Olivier Award… and more! The music of Harry Warren and the lyrics of Al Dubin – awesome combo! $42 tickets for A, B and C seating for April performances of 42nd Street! * This awesome deal is only available until Sunday night at 11:59 p.m. Log in to our website now using promotion code 42917 to get the best available seats! Do you have any more reasons to add to the list? Leave them in the comment box below! *Offer may expire without notice. Not valid on MMP performances (April 14, 2012) or in conjunction with any other promotion. Tickets are only available on A, B and C seating zones for April performances of 42nd Street. January 23, 2012… The Stratford Shakespeare Festival is pleased to announce that C. David Johnson, currently starring on Broadway in Priscilla Queen of the Desert, will return to the Festival for the 60th season. Mr. Johnson was last seen at Stratford in 2001, when he played Captain von Trapp in The Sound of Music opposite Cynthia Dale’s Maria. The two, who also starred as lovers on the popular CBC TV series Street Legal from 1987 to 1994, will be reunited in 42nd Street, as Pat Denning and Dorothy Brock. Mr. Johnson will also play Major-General Stanley in The Pirates of Penzance. In his 30-year career, which began at Theatre New Brunswick, Mr. Johnson has appeared in numerous television series and on stages throughout Canada, including as Patrick Flanagan in Jitters, and Davison in Mary Stuart at Soulpepper; George Love in Tryst at the Segal Centre; and Helmut Schmidt in Democracy at Tarragon. He first appeared at Stratford in 1984, playing Speed in The Two Gentlemen of Verona and Poins in Henry IV, Part I. He is currently playing Bob in the Broadway production of Priscilla Queen of the Desert. Mr. Johnson will be joined in 42nd Street by Jennifer Rider-Shaw, who will play Peggy Sawyer. Ms Rider-Shaw made her Stratford debut in 2010, appearing in Kiss Me, Kate and Evita, followed by Jesus Christ Superstar and Camelot last season. A graduate of Sheridan’s music theatre performance program, Ms Rider-Shaw was a contestant on CBC’s Triple Sensation, for which Cynthia Dale was a judge. She has also appeared in Ross Petty’s Robin Hood, Drayton Entertainment’s The Wizard of Oz, and Buddy: The Buddy Holly Story at Theatre Aquarius. As previously announced, 42nd Street – directed by Gary Griffin – will also feature Sean Arbuckle as Julian Marsh and Kyle Blair as Billy Lawlor, with Naomi Costain as Anytime Annie, Kyle Golemba as Andy Lee, Gabrielle Jones as Maggie, and Geoffrey Tyler as Bert Barry. The Pirates of Penzance – directed by Ethan McSweeny – will also feature Sean Arbuckle as the Pirate King, Kyle Blair as Frederic and Amy Wallis as Mabel Stanley, with Gabrielle Jones as Ruth and Steve Ross as the Sergeant of Police, as previously announced. Production co-sponsors for 42nd Street are The Dominion of Canada General Insurance Company and Union Gas. Production co-sponsor for The Pirates of Penzance is RBC. Production support is generously provided by Dr. Dennis and Dorothea Hacker. Support for the 2012 season has been provided by the Canada Council, the Ontario Cultural Attractions Fund and the Ontario Arts Council. Tickets are now on sale for the Stratford Shakespeare Festival’s 2012 season, which features 14 productions presented from April 12 to October 28: Much Ado About Nothing; 42nd Street; The Matchmaker; Henry V; You’re a Good Man, Charlie Brown; The Pirates of Penzance; A Word or Two; Cymbeline; Wanderlust; Elektra; MacHomer; The Best Brothers; Hirsch; and The War of 1812. For more information and to purchase tickets, visit stratfordshakespearefestival.com or call 1.800.567.1600. The Stratford Shakespeare Festival has begun to confirm casting for its 60th season and is pleased to announce the return of the following actors: Kyle Blair, James Blendick, Ben Carlson, Juan Chioran, Cynthia Dale, Deborah Hay, Tom McCamus, Seana McKenna, Lucy Peacock, Tom Rooney and Mike Shara. Kyle Blair will play the leading roles of Billy Lawlor in the tap spectacular 42nd Street and Frederic in The Pirates of Penzance. Mr. Blair was last seen at the Festival in 2007, playing Will Parker in Oklahoma! 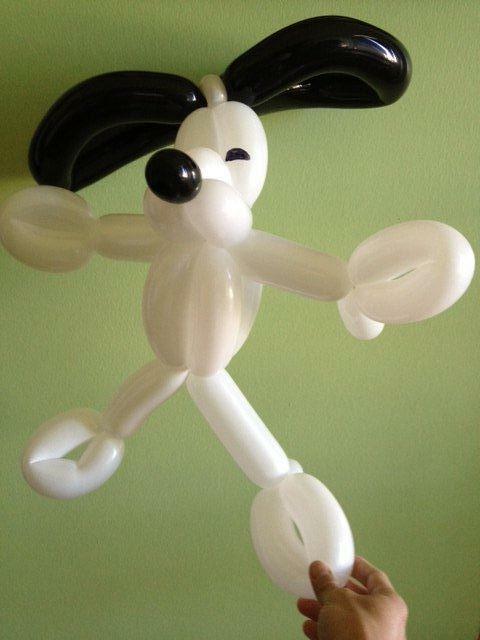 and Achmed in My One and Only. In seven seasons at Stratford, Mr. Blair’s memorable musical credits include Jack in Into the Woods, Professor Hamilton Steeves in South Pacific, Ambrose Kemper in Hello, Dolly! and Noah Claypole in Oliver! James Blendick will mark his 29th season at the Festival, playing the principal role of Leonato in Much Ado About Nothing and the Archbishop of Canterbury in Henry V. Mr. Blendick delighted audiences this season as Master Robert Shallow in The Merry Wives of Windsor. Mr. Blendick has been a stalwart of the Festival stage, playing significant roles in both Shakespearean and modern classics, including Doctor Chebutykin in Three Sisters, Falstaff in Henry IV, Part 1, Big Daddy in Cat on a Hot Tin Roof, Boyet in Love’s Labour’s Lost, Claudius in Hamlet and Matthew Brady in Inherit the Wind. Ben Carlson, currently playing Feste in Twelfth Night and Alceste in The Misanthrope, will celebrate his fifth season at Stratford playing Benedick in Much Ado About Nothing and Fluellen in Henry V. Among the Festival’s finest young classical actors, Mr. Carlson has taken on an impressive list of key roles, including Touchstone in As You Like It, Leontes in The Winter’s Tale, John Worthing in The Importance of Being Earnest, Brutus in Julius Caesar and the title role in Hamlet. Juan Chioran will return for his 13th season to play Don Pedro in Much Ado About Nothing and Montjoy in Henry V. An award-winning stage and television actor, Mr. Chioran this season played Philinte in The Misanthrope and Fabian in Twelfth Night. He is admired by audiences for his musical and classical roles, both comic and dramatic, including last season’s Juan Perón in Evita and Fred Graham in Kiss Me, Kate, as well as Solyony in Three Sisters, Parolles in All’s Well That Ends Well, Jaques in As You Like It and the title role in Man of La Mancha. Cynthia Dale’s eagerly anticipated return to the Stratford stage will see her take on the role of Dorothy Brock in 42nd Street. When last at Stratford, in 2007, Ms Dale starred in another tap musical, beautifully portraying Edythe Herbert in My One and Only. Ms Dale’s musical credits at the Festival also include leading roles in The Sound of Music, My Fair Lady, Guys and Dolls, South Pacific, Man of La Mancha, Camelot and Anything Goes. 2012 will mark Ms Dale’s 11th season with the Festival. Deborah Hay, most recently seen in leading roles at the Shaw Festival, will return for her fourth season at Stratford to play Beatrice in Much Ado About Nothing and Alice in Henry V. A member of the Birmingham Conservatory in 1999, Ms Hay played such roles as Bianca in The Taming of the Shrew and Katharine in Love’s Labour’s Lost in Stratford. This season at Shaw, Ms Hay is playing Eliza Doolittle in their hit production of My Fair Lady, as well as Hesione Hushabye in Heartbreak House. Her portrayal of Billie Dawn in Born Yesterday was proclaimed as a standout at the Shaw in 2010. After his moving portrayal of Jim Casy in The Grapes of Wrath and his masterful turn as Master Page in The Merry Wives of Windsor, Tom McCamus will play the leading roles of Horace Vandergelder in The Matchmaker and Iachimo in Cymbeline. Last season, Mr. McCamus delighted audiences in the deliciously evil roles of Captain Hook in Peter Pan and Le Vicomte de Valmont in Dangerous Liaisons. In 11 seasons at Stratford, he has played a vast number of leading roles in such productions as Three Sisters, Bartholomew Fair, An Ideal Husband, The Threepenny Opera, Camelot, Waiting for Godot and Long Day’s Journey Into Night. After her triumphant turn as Richard III, Seana McKenna will make a welcome return to comedy, playing Dolly Levi in The Matchmaker. Stratford audiences will remember Ms McKenna’s lighter side from such productions as Private Lives, Present Laughter, Noises Off and London Assurance – and will be delighted to see her reunited with Mr. McCamus after their sizzling performances in Dangerous Liaisons. Adding to her acclaimed credits in classical tragedy, Ms McKenna will also play Clytemestra in the 2012 production of Elektra, having given moving portrayals of Medea, Andromache and Phèdre at the Festival, all of which were extremely highly regarded. Celebrating her 25th season and 60th production with the Stratford Shakespeare Festival, Lucy Peacock will play the Hostess in Henry V and Mrs. Munsch in the new musical Wanderlust. Ms Peacock combined musical theatre and Shakespeare this season as well, playing Morgan le Fey in Camelot and the delightfully scheming Mistress Ford in The Merry Wives of Windsor, with Tom Rooney as her jealous husband. Last season the two actors appeared together in the moving production of For the Pleasure of Seeing Her Again and in As You Like It, in which Ms Peacock played a memorable Audrey. In 2012 Ms Peacock and Mr. Rooney will again appear together. Tom Rooney will take on the leading role of Robert Service in Wanderlust, the new musical commissioned from Morris Panych and composer Marek Norman. He will also play Pistol in Henry V. Since joining the company in 2008, Mr. Rooney has fast become a favourite on the Festival stage, most recently with his richly drawn portrayals of Malvolio in Twelfth Night and Master Ford in The Merry Wives of Windsor. He gave standout performances in 2009 as the Porter in Macbeth, Puck in A Midsummer Night’s Dream and Cassius in Julius Caesar. In addition to playing the Narrator in 2010’s For the Pleasure of Seeing Her Again, Mr. Rooney played Duke Frederick and Duke Senior in As You Like It and Autolycus in The Winter’s Tale. After making an impressive Shakespearean debut in 2010 as Oliver in As You Like It and the Young Shepherd in The Winter’s Tale, Mike Shara portrayed Orsino in this season’s Twelfth Night, and will return in 2012 to play Cloten in Cymbeline. Mr. Shara will also play the leading role of Cornelius in The Matchmaker. His Stratford credits also include an insightful portrayal of Teddy in this season’s acclaimed production of The Homecoming and the deliciously daft Algernon Moncrieff in the 2008 production of The Importance of Being Earnest. Casting continues for the 2012 season. The Stratford Shakespeare Festival’s 2011 season runs until November 6, featuring The Merry Wives of Windsor, Camelot, Twelfth Night, The Misanthrope, The Grapes of Wrath, Jesus Christ Superstar, The Homecoming, Richard III, Titus Andronicus, The Little Years and Hosanna.